First of all--so sorry for the lack of blogging these past couple of weeks. Life got really busy and I have about 20 blog posts written in my head, but not enough time to post them. So, I will just post one here and there for the topics that I have photos of (because my writing alone would probably be pretty boring). Second, I wanted to update everyone on our journey to more natural living (hence the title). As you may remember, back in January I wrote a post about trying to live more "naturally" and not just by consuming more natural foods (unprocessed, cooked from scratch, with ingredients we can pronounce and keep in our pantry---not in a chemistry lab). But also, with the skin being the body's largest organ, we began realizing it was important to be picky about what substances get put on our bodies every day. We have begun purchasing these more natural items, but are finding that ideally, to get the best products, we are going to have to make them ourselves. So, in January, we began using homemade laundry detergent. You can read that post here. The update is---we LOVE it. Super cheap. Works great. No harmful ingredients. What's more to love? So, we decided to make other products (both for household cleaning and for our bodies) as our store-bought products gradually were used up. 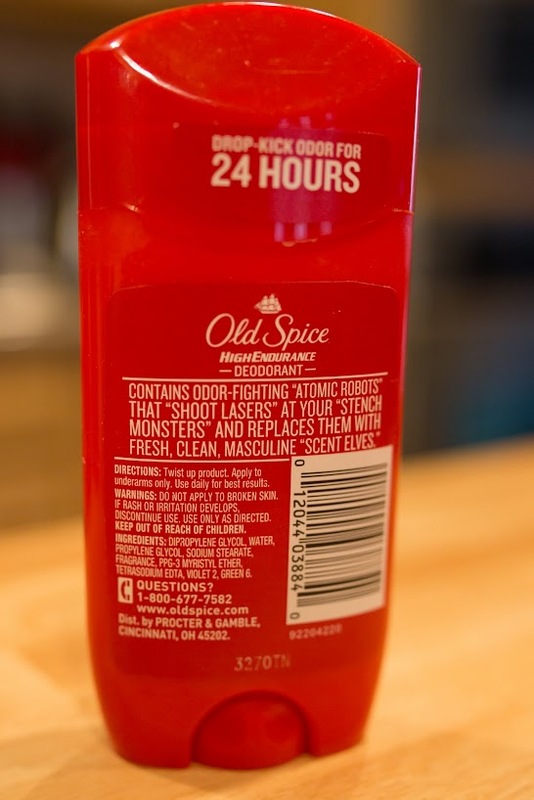 Drew used the last of his Old Spice deodorant, so that was next on the list. I perused the internet for recipes. I read tons of reviews about what worked and didn't work for those recipes. Then, I decided on a concoction to try out. I have recently discovered during our quest for more natural living that you never want to purchase an "antiperspirant." Most have aluminum (or a derivative) as their main ingredient and that is bad, bad, bad. Aluminum is what acts as the effective antiperspirant. But, it also mimics estrogen in the body, which can really mess up your hormone levels. Did you know it is also linked to breast cancer and Alzheimer's? Hello? Why in the world did a slather that stuff right on my axillary (armpit) lymph nodes--the same ones who were removed because they became full of breast cancer--for so long? I guess knowledge is power, because I am going to make sure I never put in more of that stuff on my body. Drew's deodorant was just that---a deodorant, not an anti-perspirant. So, it didn't contain aluminum. But, it did contain a bunch of other junk--like propylene glycol (same chemical in anti-freeze) and artificial colors. Our new deodorant can even be eaten. So, it is definitely safe to be rubbing onto our armpits. 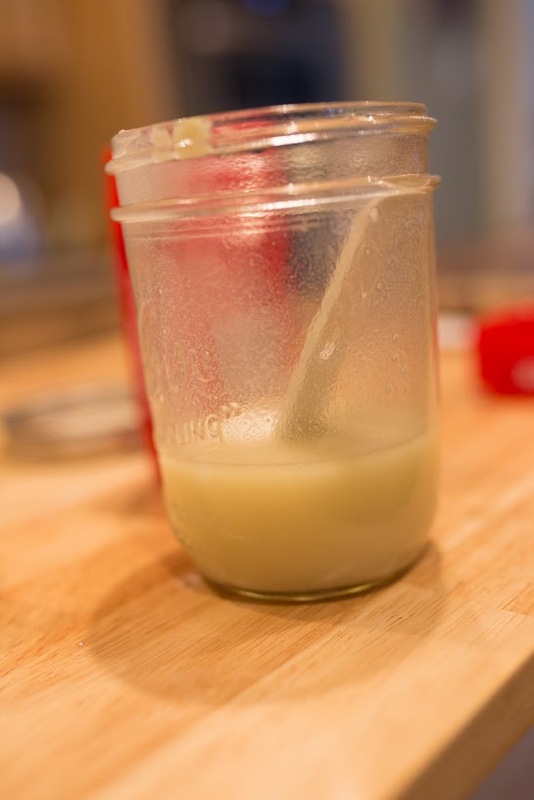 Combine shea butter, beeswax and coconut oil in a double broiler (or quart size glass mason jar with a lid and place this in a small saucepan of water) until melted. Using the mason jar will save your bowl and you can just designate this jar for these type of projects and not even need to wash it out. Or, if you prefer, you can let it cool a bit and put into an old deodorant stick for easier use. This is what we do and it works really well. We're also making our own toothpaste. I will hopefully share an update on that soon as well. 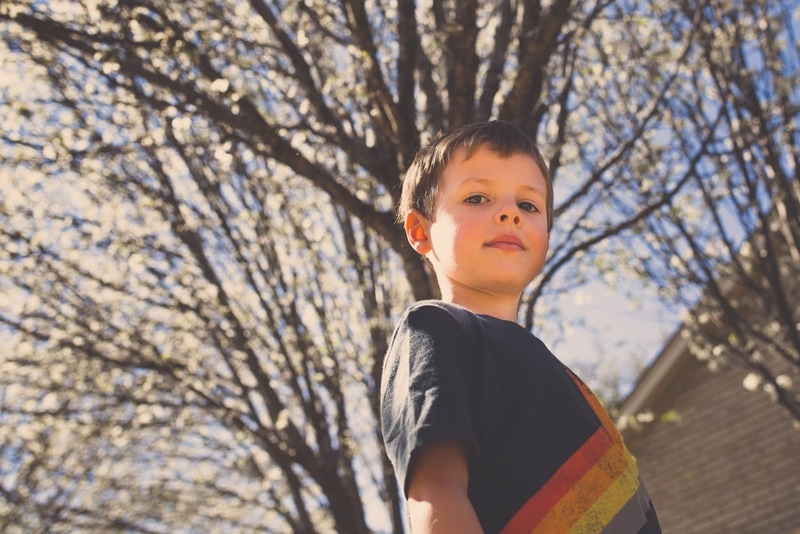 In the meantime, I am really enjoying spending time with the kiddos outdoors lately. I am so thankful for this beautiful weather, and the contentment God has given me as a stay-at-home mom. Actually, not only am I content, but I am seriously loving it and taking my new job very seriously. The transition to how God has grown me to be in this spot is worthy of another blog post, because He truly has transformed me. As I began giving up control and my own "desires, I discovered that what He has for me is SO MUCH better than what I would have designed for myself. And, He has shown me how Faith and trust in him can truly move mountains. I can't wait to write about that....another blog post, another night. I will end with a random photo that will be included in this future post referred to above. I love spending one-on-one time with this guy during Abbey's afternoon naps.